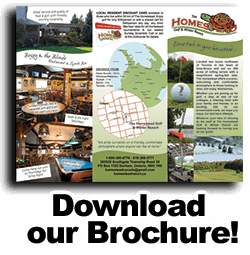 Homestead Resort offers a beautiful 18 hole, short par 69 golf course. Our golf course is maintained with a state of the art irrigation system, our greens are ideal for your game. Contact us today and learn more about our tournament packages available for your next event or to book your next round. 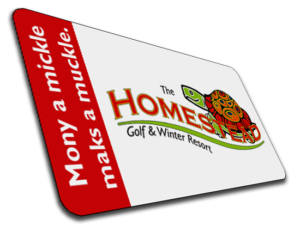 Any individual who lives within 45 mins of Homestead qualifies for the Loyalty Card membership. Green Fees $35 walking or $48 with shared cart. Also allows for member rates for any of the Homestead tournaments.